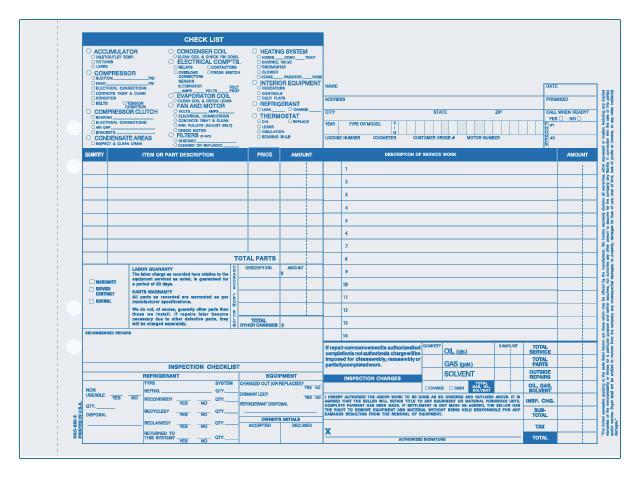 Road Service Towing Invoice is essential to the everyday running of a tow truck business. 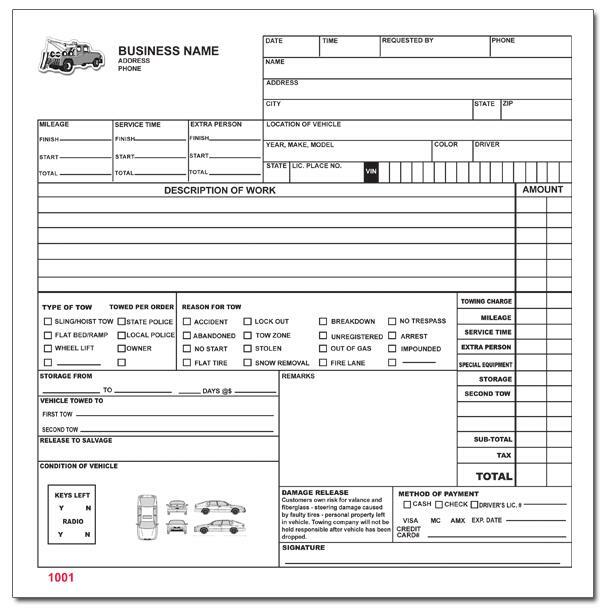 This form will allow you to record all the important information needed by you and your customer. Imprint Names, date, addresses. phone, work description, labor cost, material, vin number etc. 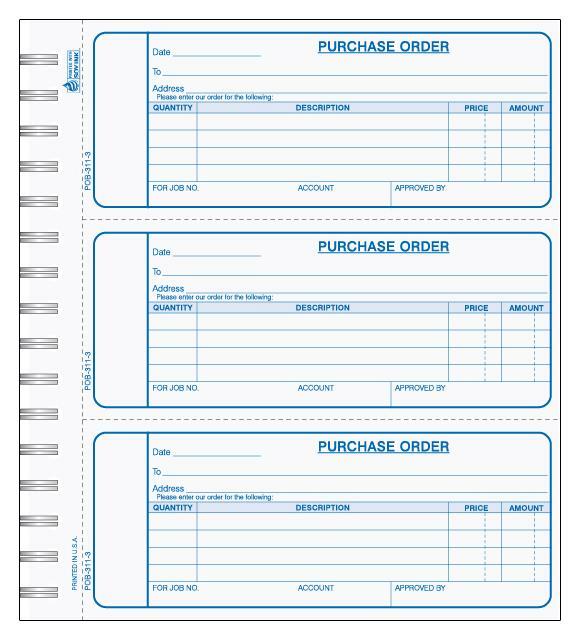 Our invoice printing is done on 20lb NCR carbonless paper in 2, 3 and 4 parts. 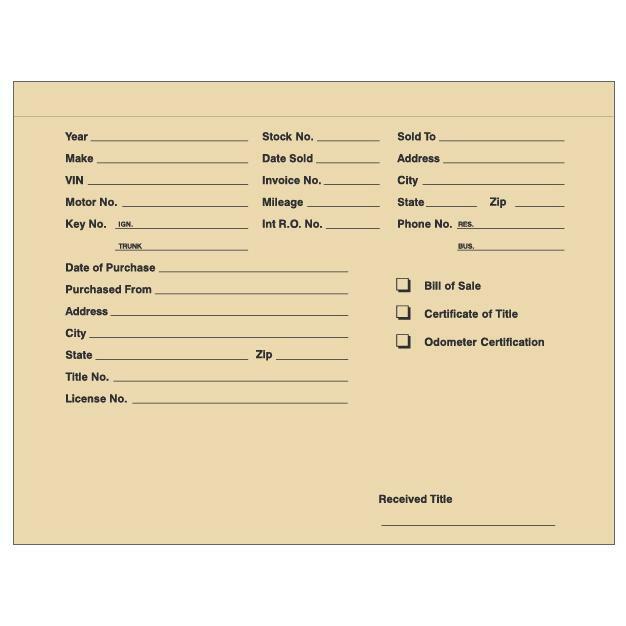 We offer many options like numbering, perforations, back printing, book with wrap around cover and more.